Try a dining hall. Choose a popular student hangout. Explore the local restaurant scene. Wherever you go, on campus or off, you’ll find plenty of dining options to fuel your visit. The University Unions are gathering places for students and visitors alike. All three student union buildings feature a variety of cafés, coffee shops and markets that appeal to the campus community. Some are locally owned restaurants; many are national brands. All accept Blue Bucks (U-M’s electronic “cash”) and Dining Dollars (included in all Michigan Dining meal plans). 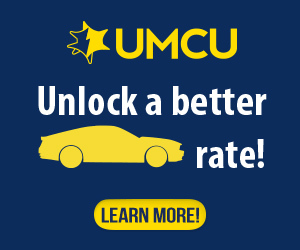 For specifics on hours and locations, visit the University Unions website. 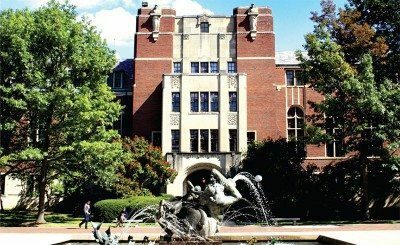 Learn more about University Unions here. 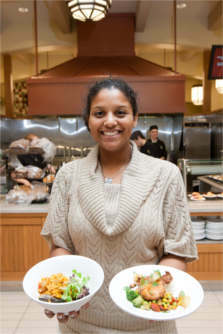 Michigan Dining manages all residential dining halls and more than two dozen cafés, markets and residential pantries. All accept Blue Bucks and Dining Dollars, and most take major credit cards. 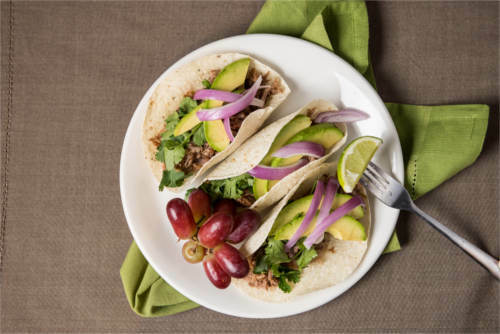 Menus, food labels and the Dining website provide information about allergies and nutrition, and a campus-wide system of nutrition icons helps diners quickly identify dishes that are vegan, vegetarian, MHealthy, gluten-free and spicy. Visit the Dining website to find the locations and hours for any of their facilities. On-campus markets, many found in University Unions buildings, are stocked with snacks, healthy treats, convenience foods and the essentials of student life. You’ll also find fresh-brewed coffee, bottled beverages, frozen foods, foods to go and fresh-baked goods from Michigan’s own bakery. Some offer made-to-order foods such as sandwiches and pizza. Every on-campus café offers something different, from farm-to-table fare at Fields (in Palmer Commons), to hearty lunches at Fireside Café in Pierpont Commons. House-made gelato at East Quad’s JavaBlu make it a student destination, while Bert’s Café at the Shapiro Library offers study foods and baked goods. Most cafés and coffee shops also offer a selection of grab-and-go foods. All offer locally roasted, fair trade/organic coffee and Michigan-grown loose leaf teas. Students can dine at any of the seven dining halls scattered across campus. Most feature several mini-restaurants, each specializing in a different type of cuisine: all-day breakfast, Latin-American, Mediterranean, Pan-Asian, vegan/ vegetarian, made-to-order sandwiches, soups and salads, the grill and desserts. Every day, at every meal, a number of dietitian-approved “MHealthy” options are offered. And many dining halls have a gluten-free safe zone for those with serious allergies. Walk-in groups of less than five visitors are welcome at any dining hall during regular hours. Larger groups are welcome with advance reservations. Cash and major credits cards are accepted. For reservations or inquiries, call 734-936-2295.